Germany has always been a favourite country but now it has the added attraction of being home to some of our favourite people too. 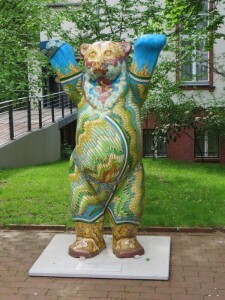 But before we can see them we have to deal with some travel business – organising visas for the Central Asian part of this ride so we head straight to Berlin, on the autobahns. In Berlin we drop off our passports and application forms at the Uzbekistan Embassy. We’ve been told this could take a week or two so we’re delighted we can pick them up in three days. Now we can enjoy this city. 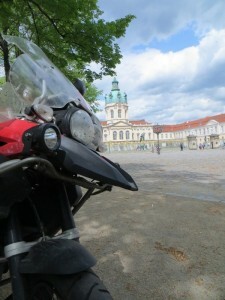 We visit Charlottenburg Palace, once the summer palace of the German royal family. It was badly damaged during the war and has been rebuilt. The ground floor has been returned to the majesty of the original design but upstairs is more a museum art gallery, but still very interesting. 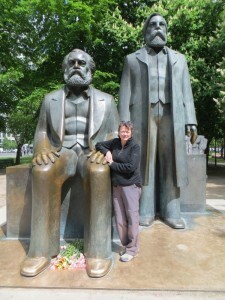 A first for us is the Marx and Engels statue in a park near in the centre of the city – a sign of a bygone era. Back in 2003 we met a young German couple in Bam, Iran. 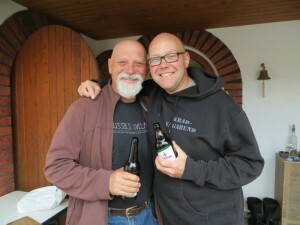 Bernd and Heidi are still friends. They’ve stayed with us in Australia and we’ve stayed with them in Germany. We spent Christmas together in South America back in 2011. Brian and Bernd are like brothers. 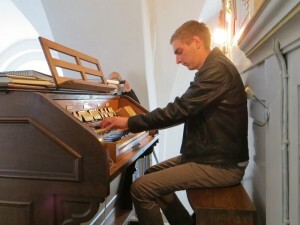 We have the most amazing time with them in their home town of Kallmerode. Friends of theirs we met on our previous trip to Germany and others who have visited us in Australia come around and it’s an incredibly social time. 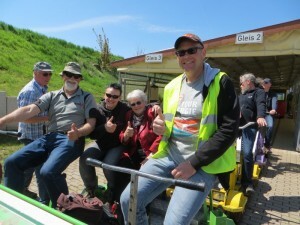 And we take a ride on a draisine – a pedal powered carriage on a train line through the forests. It’s a wonderful way to spend time with our good friends. It’s always sad to say goodbye and this time is no different. 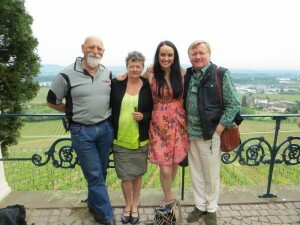 In Frankfurt we visit our good friends from Australia Tonya Stevens and Andre Haermeyer. They help us with the paperwork for our Tajikistan visa and treat us to a combination of Australian and German hospitality. 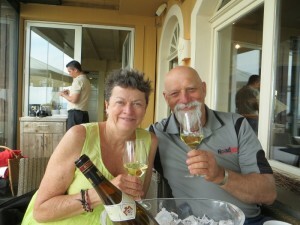 We spend a wonderful day at Rudesheim on the Rhine, having lunch at Johannesburg, high above the river. We can’t thank them enough for their friendship and help. 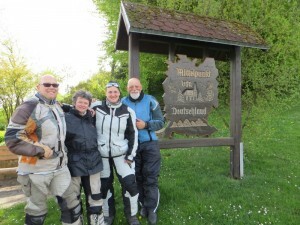 We go back to the Rhine to catch up with Jens and Katja Witte. We met them in South America back in 2011 and again in Alaska in 2012. Joining us in their home on the edge of the forest is David Hand. 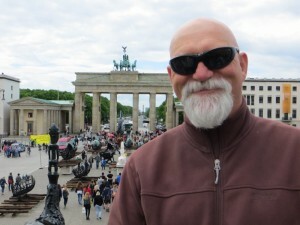 We met Dave in 2012 while waiting for a part for the motorcycle in Canada. We rode to the top of the Americas together in 2012 and now we will ride to the top of Europe together. It’s a great reunion of the Alaska team with a couple of people missing. 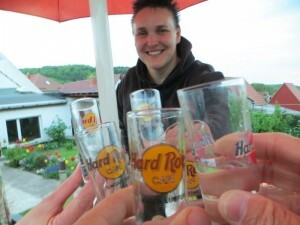 We say a sad goodbye to Germany and our good friends. We now begin the ride to NordKapp with Dave.